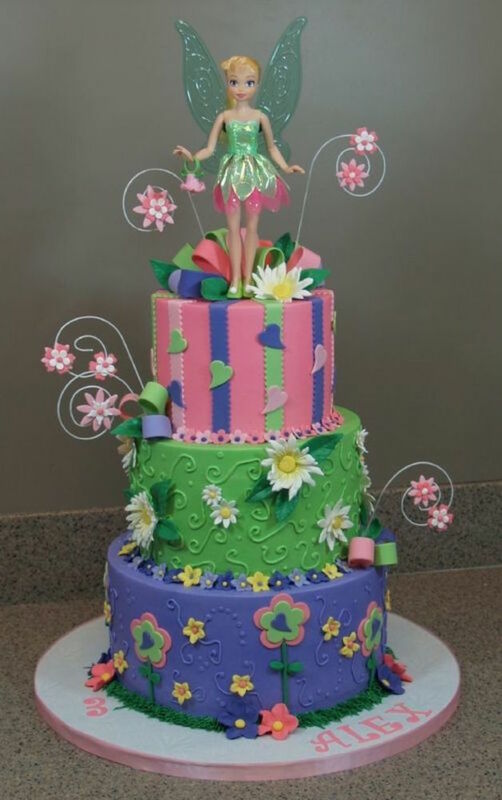 If your looking for ideas for a Tinkerbell Birthday Cake, you will find that the sky is the limit when it comes to imagination. This is definitely one of my favorite parts of planning for a birthday party because there are so many beautiful and creative cake ideas. But decide you must, and to help speed up the process, here are some tips. 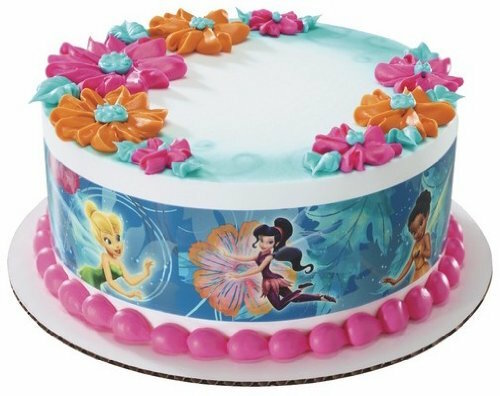 If "the cake" is a big deal in your birthday party planning, then we need to cover a few things, especially a TinkerBell birthday cake where there are so many options. Some kids will have very little interest if any in cake decisions but for those that do, it's nice to include them in the process. So asking the following questions will narrow it down. 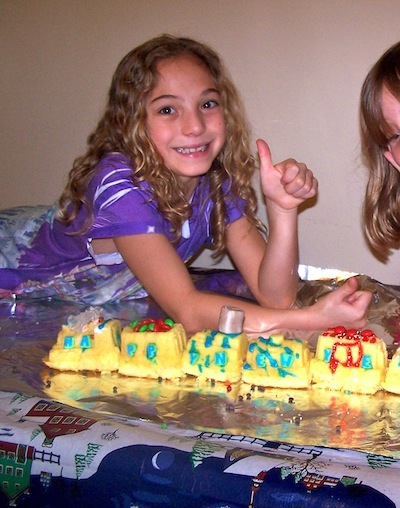 My youngest daughter making a train cake with her friend. TinkerBell and all the fairies? Figurines, Tink picture or shaped mold? 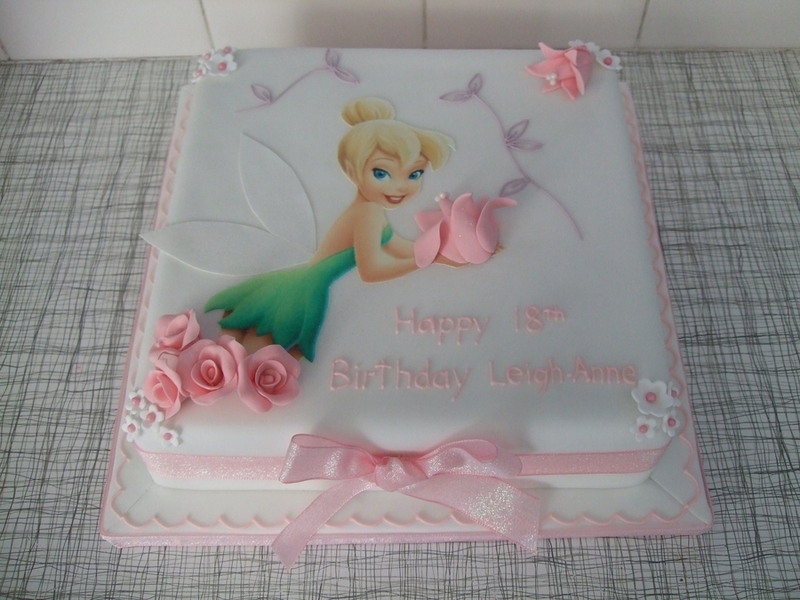 Round, square, sheet, 1,2 or 3 tier TinkerBell cake? Setting? Neverland, Pixie Hollow, Tink’s house? Color? Green, purple, pink, gold, white, yellow? Buy the cake or make it at home? (this might be more your decision than theirs). You can ask them to draw and color the kind of cake they would like. You would be surprised at what they come up with. Added bonus: Knowing that they participated gives them an extra boost of confidence and pride. Tip: Add small toys as cake toppers for extra dimension or small moving toys for an animated birthday cake. 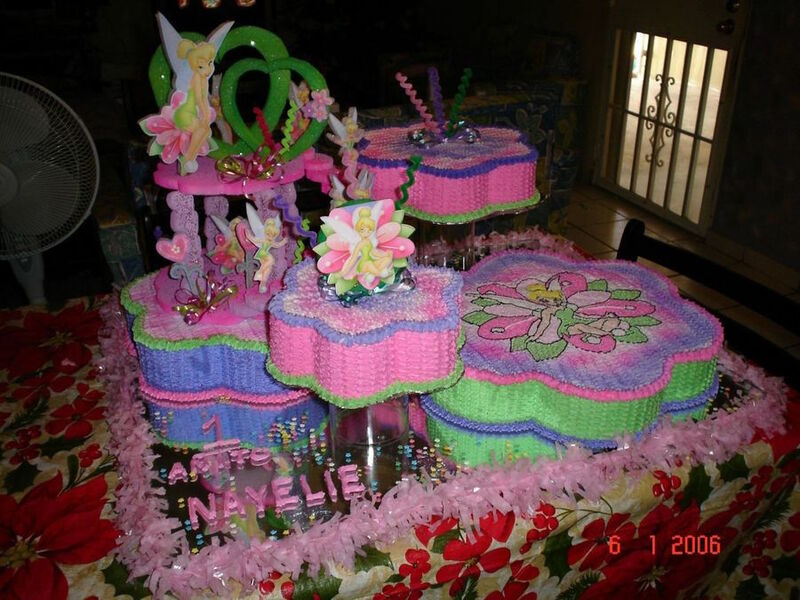 We made many cakes as our girls were growing up and none looked liked the ones below but our hearts were in the right place. It was always fun and messy! Just the way they liked it! Our girls are grown now and we still make cakes....and they still don't look like the ones below! 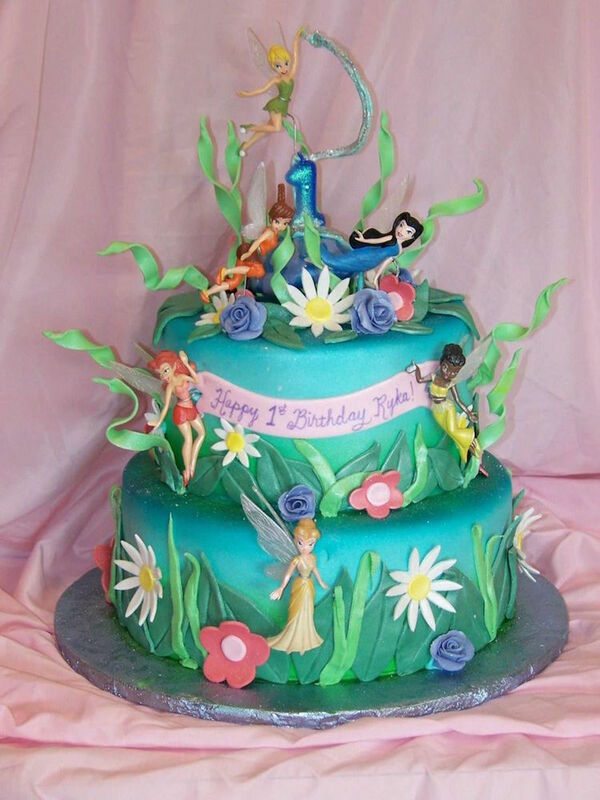 Here are pictures of some beautiful and unique TinkerBell Birthday Cake ideas. Show them to your child and together I’m sure you will decide on a beautiful cake. 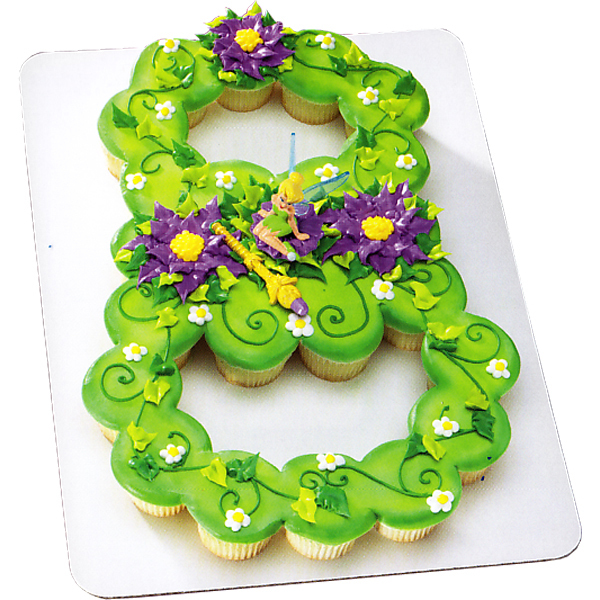 These TinkerBell cakes have been decorated with leaves, flowers and TinkerBell figurines. If you're not prepared to embark in detailed cake decorating, cake toppers is the way to go. 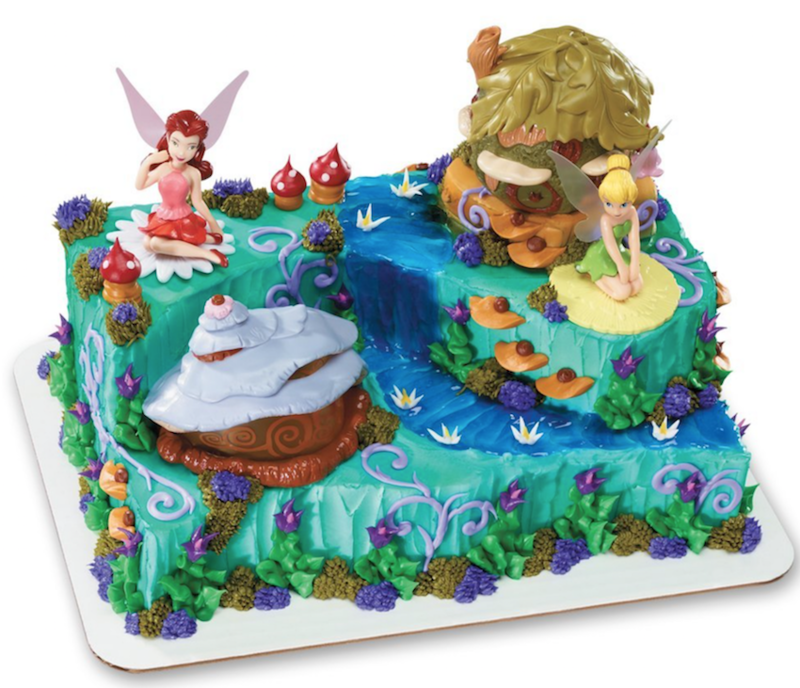 They instantly add another dimension to the cake and you can decorate your cake in minutes. I love this set that brings TinkerBell, Rosetta and 2 fairy houses. Click here for details. 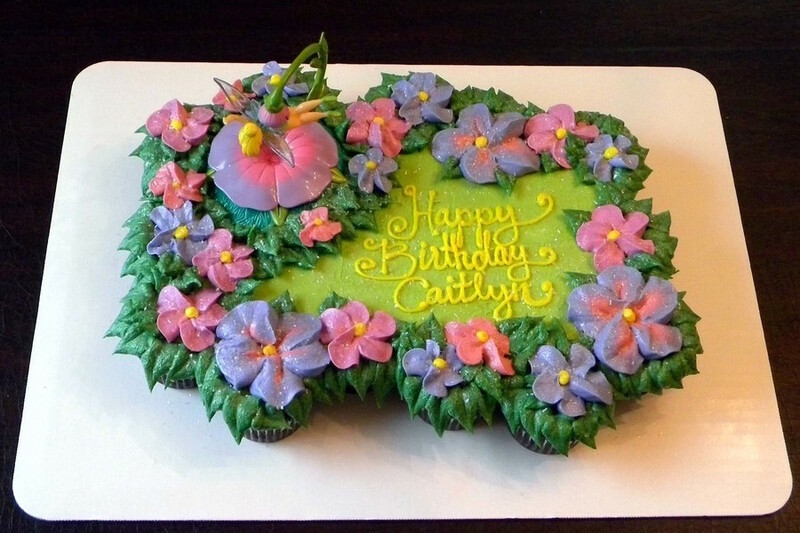 This is such a pretty and delicate fondant cake. Simple and beautiful! 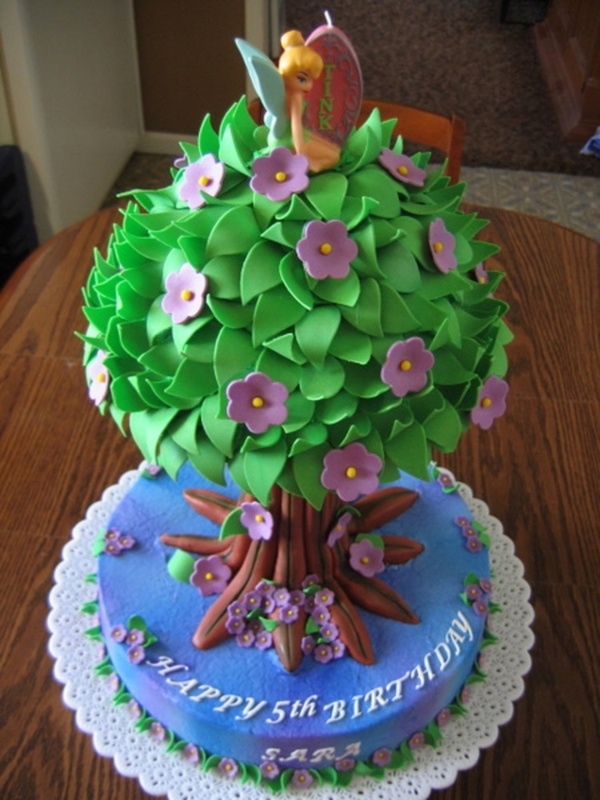 Edible cake paper is a quick and inexpensive way to decorate any cake and make it look instantly professional. It's so easy too! Just peel and stick and done! Click here for details. Wow! If you're inviting a large number of guests, her's one way to do a huge cake. This grand cake is made up of 4 cakes, 2 on pedestals. I just love doll cakes! 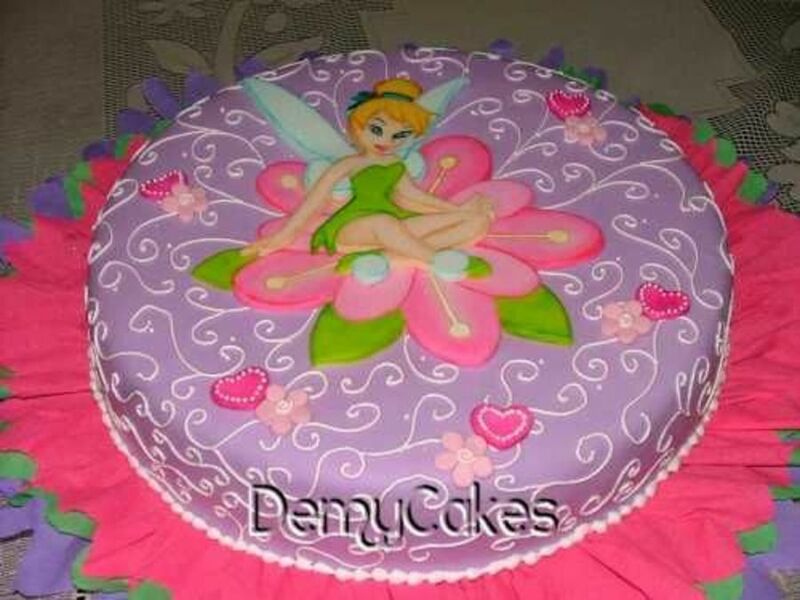 This Tink doll cake is perfect for small parties. it's so lovely! Love the smooth fondant look! Beautiful simple decorations and Tink doll. 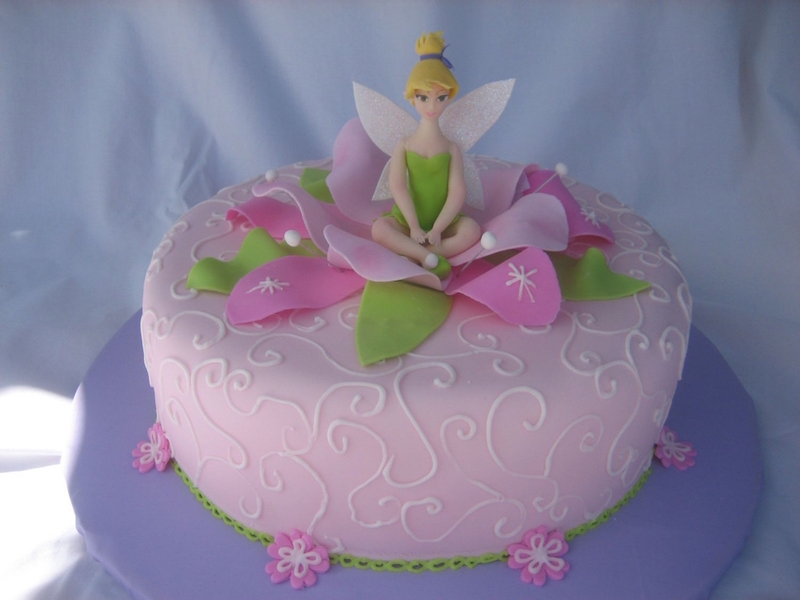 Need more cake but still want the Tink doll cake? 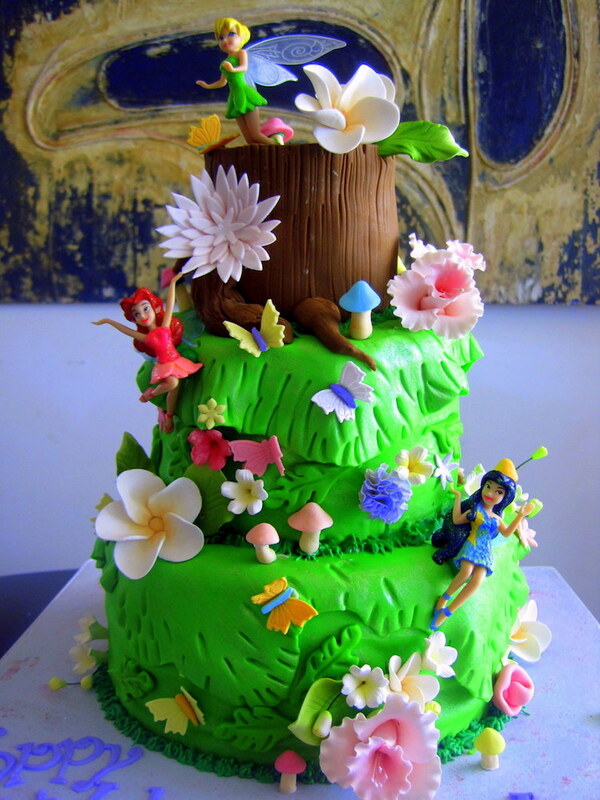 Add another dimension like they did in this cake. 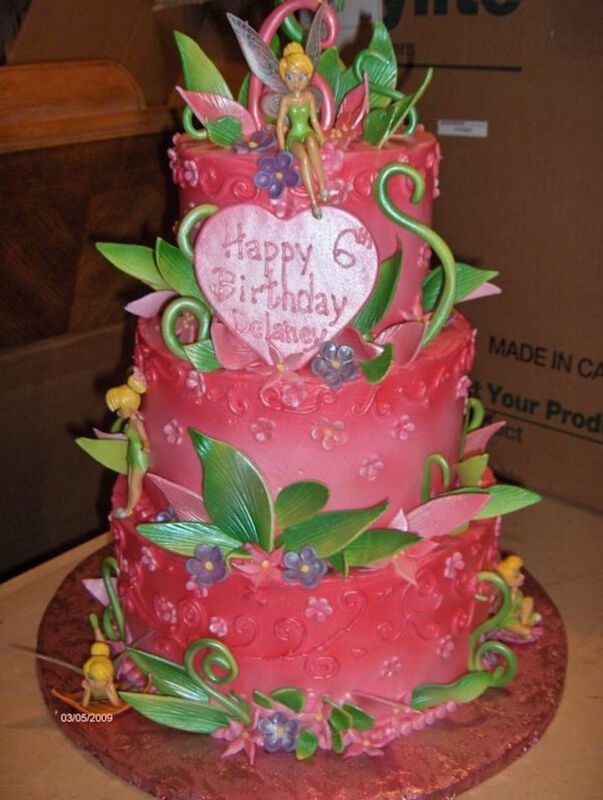 This cake is so pretty and original. They used the Pixie Hollow tree as inspiration. 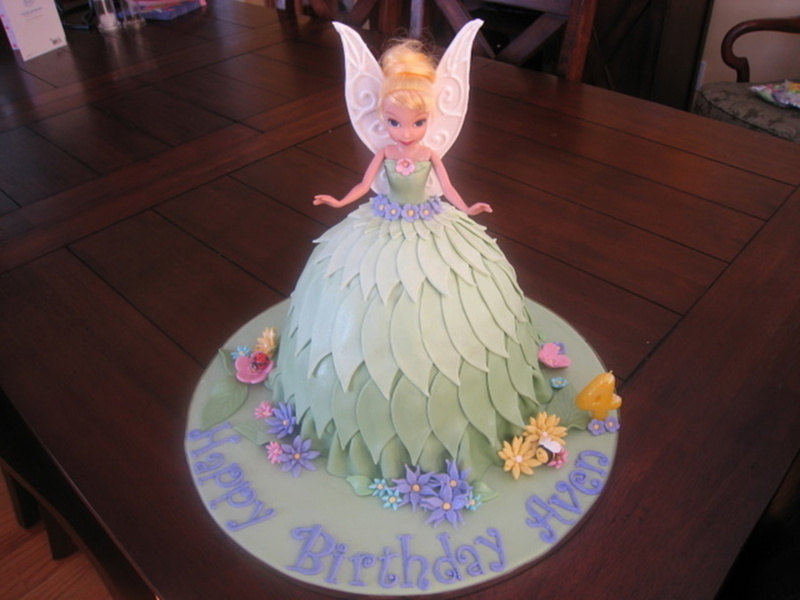 Tier cakes using TinkerBell and Disney Fairies figurines and gum paste flowers. 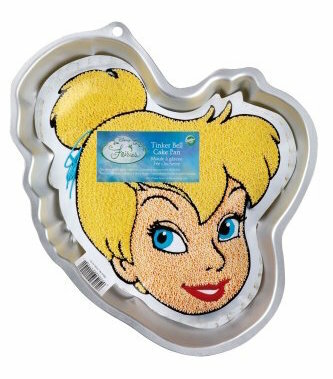 Start your TinkerBell Party with this TinkerBell cake pan. So pretty and brings decorating tips. Click here for details. This is a beautiful cupcake number cake and so easy to pull apart. 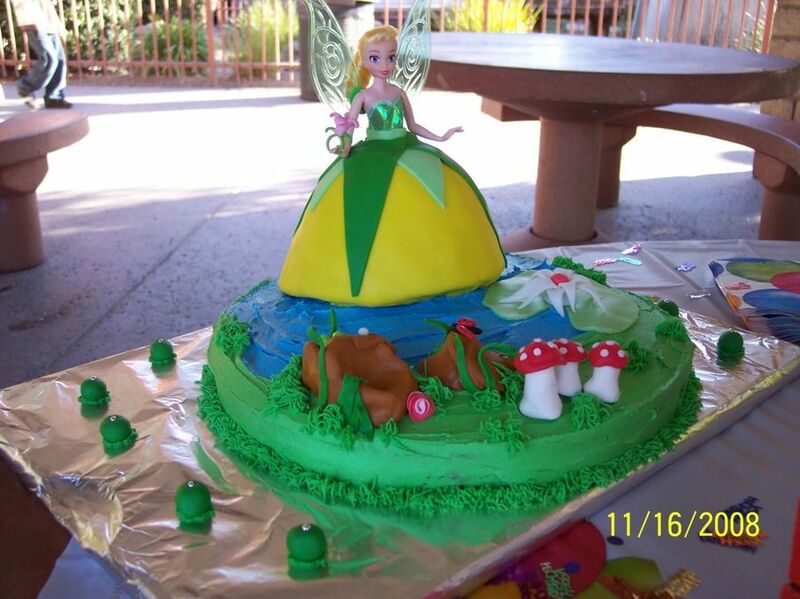 Here's another TinkerBell cupcake cake made to look like a regular cake. So creative and still be a pull apart cake. Genius!